Tucked away among the steep sandstone formations in Israel’s Arabah Valley sits a place most visitors never see. Timna Park’s best-known attraction is called “Solomon’s Pillars”—beautiful Nubian sandstone formations that have nothing to do with King Solomon. But they’re fun to climb. The park also features relics from Egyptian idol worship as well as interpretive signs about ancient copper mining. But the best part of Timna Park is its least-known exhibit. Or perhaps, it’s the least-mentioned. The simple white fabric that flapped in the breeze formed the perimeter of the Tabernacle, and it served as the first of a number of barriers between the Hebrews and the Lord. Today we place barriers between our leaders and the people in order to protect the leader. But the Tabernacle’s barriers stood to protect the people from God. No one ever would come into the presence of a holy God without a sacrifice for sin—because holiness cannot abide sin in its presence. What stood before me reminded me of that fact. The large, brazen altar was the place where the majority of sacrifices occurred on a daily basis. All sacrifices began with “the burnt offering,” from the Hebrew term olah (Leviticus 1:3). The English word “holocaust” (meaning “burnt whole”) comes from this term. Just past the brazen altar stood the bronze laver, the washbowl where the priests would scrub up. Behind it, the tent called “the Holy Place” had dull colors on the outside, but underneath I saw beautiful embroidery of colorful cherubim. Entering the Holy Place was something only priests could do, but today, Timna Park visitors can enter to examine the Tabernacle’s interior. After my eyes adjusted to the dark room, I saw on the right the Table of Showbread with its twelve loaves that represented Israel’s twelve tribes. WASHINGTON – It would almost inarguably be the greatest archaeological find in history. Most of the evidence for this theory of the Ark’s location comes right out of the Bible – in passages discussed in a two-part video documentary by Michael Rood called “The Great Secret of Solomon’s Temple and the Hiding of the Ark of the Covenant.” This three-hour presentation will keep you spellbound with its references to little-studied Bible verses that provide hints of about how the Ark was preserved from the invaders. But WND has confirmed at least some of the story with archaeological sources secretly working within the tunnel structure beneath the Temple Mount. Proving the Existence of God! The man who founded one of the world’s greatest social service organizations, one that was focused on the Gospel, issued what can only be seen as a prophecy and fateful warning to Western civilization. It is a warning the West has failed to heed, and the results are devastating. Liberty Bell: "Proclaim Liberty throughout the land"! The previous century was often referred to as “The American Century.” And so it was. Leadership in two world wars, with ultimate victory. Leadership in the West’s industrialization. Leadership in creating a growing, mobile and free middle class. Leadership in public education. Leadership in higher education. Leadership in business and manufacturing. Leadership in the exploration of new worlds beyond our own. Did Obama send a 'gay' ambassador to Libya? Did President Obama and Secretary of State Hillary Clinton send a “gay” ambassador to Muslim-majority Libya, where homosexual behavior is a crime punishable by imprisonment? 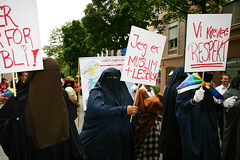 Believing the “Arab Spring” countries would be encouraged to embrace democracy through left-leaning diplomats dedicated to understanding and dialoguing with Muslim communities, did a State Department under Secretary Clinton that refused to establish rules of engagement providing embassy personnel Marine Corp protection take the additional risk of placing a gay ambassador in Muslim countries? The question comes amid claims in the diplomatic community that J. Christopher Stevens — the U.S. ambassador to Libya brutally murdered on the anniversary of the Sept. 11, 2001, terrorist attacks — was homosexual. 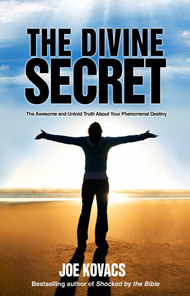 This video is the first of a two part seminar series featuring the book The Divine Secret by Joe Kovacs presented by UCG pastor John Miller in North Canton, Ohio. The seminar reveals a secret overlooked by many Bible students that explain the meaning and purpose of life. Anybody interested in what the Bible says about destiny will be enlightened by this seminar. Two Wonderful Books - Must Read! The Biggest Danger To YOUR LIFE, and most are blissfully ignorant! WASHINGTON – Congress today was told that the Department of Homeland Security hasn’t identified an electromagnetic pulse, or EMP, event as a serious national security threat to the nation’s grid system even though testimony revealed it could making living in the United States “unsustainable” for 70 to 90 percent of the population. And the few billion dollars it would cost to harden systems against such an occurrence is hardly the tens of billions or hundreds of billions it could cost to repair the damage. AFP PODCAST: EMP on Capitol Hill, Act Now! A Reuters television news clip that captures Barack Obama calling Kenya his “home” has added to the mystery surrounding the president’s place of birth. The clip – archived by the British-based news and content provider ITN – shows Obama with then-Kenyan presidential candidate Raila Odinga at an Aug. 26, 2006, rally against AIDS. “I’m so proud to come back home and see all you people are here,” Obama says. The staged public event was held at the Kenya Medical Research Institute in Kisumu, Kenya, about 37 miles from Sarah Obama’s home and his father’s gravesite in the village of Kogelo. The event was also filmed and recorded in a documentary, “Senator Obama Goes to Africa,” which shows the enthusiastic reception Obama received on his 2006 tour of Africa, his third visit to Kenya. Is THIS What Obama Was Hiding From His College Days? Last Prophetic Words: "assuming we don’t die tonight. We saw one of our ‘police’ that guard the compound taking pictures"
Sean Smith, one of the State Department employees killed in Tuesday’s attack on the U.S. consulate in Benghazi, Libya was a popular Internet gamer who went by the name “Vile Rat,” according to an online post. Smith, along with Ambassador Chris Stevens and two other American personnel, was killed when the consulate came under a mob attack in protest of a film said to be offensive to Islam. Smith was a foreign service information management officer, according to the State Department. At one point, Mittani said, Smith wrote the words “f–k“ and ”gunfire,” then was disconnected. "His influence over the grand game and the affairs of Nullsec cannot be overstated. If you were an..."
Sean Smith confirmed as second American killed in Libyan attack; Sent chat message before death? A graphic photo has surfaced online allegedly showing the “attempts to rescue” U.S. 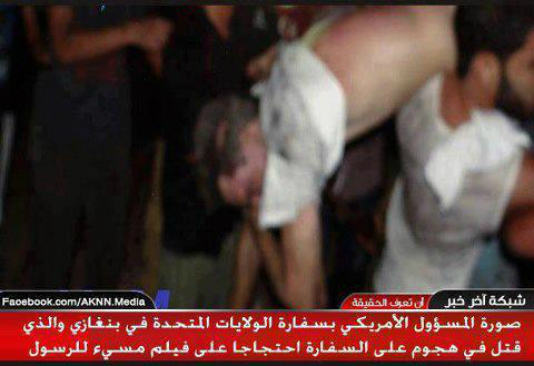 Ambassador Chris Stevens in the final moments of his life after a mob attack on the U.S. consulate in Benghazi, Libya. The image, posted on Arabic news channel AKNN News’ Facebook page, shows a man identified as the ambassador severely wounded with blood on his face. It appears he’s being carried away by two men in the midst of a crowd. Both President Barack Obama and Secretary of State Hillary Clinton made reference to Libyans carrying Stevens to the hospital after the attack. Bob Barney: Before this latest news, last night I republished articles on why we need to always be watching events in the Middle east. Our Bible, yours and mine, regardless of the translation warns us that the end of man's rule will be in the Middle East. For years many religious experts and ministers have taught that the plagues described in the Bible (Matthew 24 and the Book of Revelation) as already happening. However these experts have made a serious error concerning these prophecies. They are correct to say that we are living in the "end times" but honestly the first century Church and the epistles of the Bible tell us that! We have been living in the "end times" now for about 1900 years! Jesus, in his famous Olivet prophecy (Matthew 24) gave exact clues to help us pinpoint the times right before he returns to earth. Although he goes on to say that no man (including Jesus) would know the exact time, if we look for certain signs, we will have an idea about when these times are very close. 4) The near destruction of Israel. The events in Egypt, Syria and Libya are just a start of the formation of the God predicted "King of the South," which will be a kingdom of Muslim states that will make war with the King of the North (Europe). America, on the other hand, and Canada and Britain will be at the end time, in captivity and no longer a world power (read this incredible prediction here.) STAY AWAKE! YOU ARE WITNESSING GOD'S PREDICTIONS THIS VERY DAY! "The American ambassador and three staff members were killed when gunmen fired rockets in their direction," a Libyan official in Benghazi told Reuters. Airport sources said the bodies were due to be flown from Benghazi to Tripoli. The attack was believed to have been carried out by Ansar al-Sharia, an al Qaeda-style Sunni Islamist group that has been active in Benghazi, a Libyan security official said. Witnesses said the mob also included tribesmen, militia and other gunmen. Why a natural born citizen must have 2 American parents and cannot have dual citizenship! PITTSBURGH (AP) — More and more people are visiting the Flight 93 National Memorial in rural western Pennsylvania, authorities say, and new construction is scheduled to begin next year. At the current pace, more than 1,000 bus groups will visit the park this year, almost double the number in 2011, said King Laughlin, vice president of the Flight 93 National Memorial Campaign. More than 200,000 people are expected to visit this year. “It really seems to resonate with school groups and bus groups,” Laughlin said Friday. THIS IS WHY MOST CHRISTIANS DON'T EVEN UNDERSTAND WHO AND WHAT GOD IS OR WHAT THE REAL GOSPEL IS! 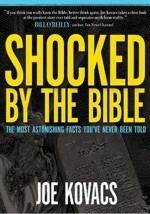 PEOPLE DIED TO BRING US OUR BIBLES, READ IT! 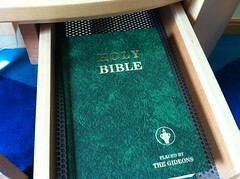 Most churchgoers do not read the Bible on a daily basis, according to a study on Bible engagement released Thursday by a Christian research organization. The Transformational Discipleship study, conducted by LifeWay Research, surveyed 2,390 U.S. Protestants who said they attend church at least once a month, according to the Christian Post. Slightly more than a quarter said they read the Bible “a few times a week,” while 14 percent said once a week and 22 percent said at least once a month. LifeWay Research Director Scott McConnell told the Christian Post he attributes the results to modern American culture. Who is going to tell them to 'do justice'? Kovacs responded, “If you just look at the natural world around us, you realize that everything reproduces. They have children or offspring after their own kind. I mean, the children of giraffes are giraffes. The children of cats are cats. And what are the children of God? You know people have to come to that conclusion: we’re not here for no good reason. The Bible calls us “the OFFSPRING of God.” (Acts 17:29) It uses the word offspring. First Published in The Plain Truth in the Fall of 2009! Yes, we are ahead of our time! There have been a lot of comparisons of Obama to Roosevelt or Reagan or Kennedy but I am beginning to think he is more like Nixon. Yes, that Nixon. Perhaps enough years have passed so that people can think of Nixon in terms of something other than Watergate and his impeachment. For if you can get past his ignoble ending you might be able to see his brilliant beginning as President. For all his faults, Nixon was a brilliant strategist. He was only 37 when he won his Senate seat after first serving in WWII and then being a Congressman for his district. Two years later, at the age of just 39, he became Eisenhower’s Vice President. I am sure there must have been a lot of talk about someone of his young age and inexperience becoming one heart beat away from the presidency. He lost his first bid for presidency in the infamous race of 1960 against JFK where to this day many believe that Kennedy’s father and Daley rigged the results from Chicago thereby giving the win to JFK. He finally came to office in 1968 when he defeated Hubert Humphrey. Republicans are currently outraged that Obama wants to talk to our enemies. Yet no one recalls that Nixon with his Secretary of State Kissinger broke all kinds of barriers and had numerous discussions with our enemies including China and Russia. They also brokered the first agreements between Israel and Egypt and Syria. I doubt if Clinton will serve Obama as well as Kissinger did Nixon, but those who are loudly arguing against President Obama’s decision to meet with almost anyone should remember the past. Additionally, just as President Obama is ending our involvement in Iraq so did President Nixon end our involvement with Vietnam. Is it the right thing to do? Maybe not for if history is to go by for pnce we pulled out troops then North Vietnam quickly invaded and overtook South Vietnam and still controls them today. Will Iraq someday invade and take over Iran? I don’t know but we are opening the door for them when we leave. And even if they don’t invade I wonder just how long democracy will last before a group destroys the hard earned democracy for a dictatorship or worse, rule by a religious imam. On the domestic front, both Presidents faced economic problems. From 1968 to 1970 the Dow Jones fell 36% while inflation and unemployment increased to 9% and 6.6% respectively and by 1974 inflation was 12% resulting in even higher unemployment. After trying tax cuts and following the economic advice of Milton Friedman, Nixon did an about face after a huge Democrat mid term win. (And today people are already predicting a Republican comeback in Obama’s midterm elections of 2010.) To resolve the country’s “stagnation”, Nixon imposed wages and prices controls, took us off the gold standard resulting in the depreciation of the dollar and imposed deficit spending. All of this was seen as a betrayal of Republican beliefs and achieved little success resulting in the economic disaster which Carter made even worse a few years later. 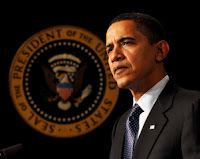 Obama, too, is facing economic disasters and is trying to resolve it with sweeping changes. Only time will tell if it will work. But Obama is already disgruntling some liberals by including ideas that are more moderate than they would want. People today are also very concerned about government now controlling private industry through the bailouts and now actually owning a private bank. Yet no one remembers when Nixon had the government control private businesses prices and wages when he imposed price and wage freezes. Could you imagine the outrage today if Obama declared what a business could charge or what you salary would be? Yet that is exactly what happened nearly forty years ago. By the way, it was a complete disaster and did nothing to help the economy which might be a harbinger of things to come. Almost no one remembers Nixon’s impact on the environment. Nixon personally could care less about the environment but instead implemented a strategy of being environmentally friendly in order to attract moderate Democrats plus it would counter any more radical proposals from the left. As part of his strategy he approved the landmark National Environmental Policy Act and also approved legislation to protect endangered species and threatened coastal areas plus he enacted ocean dumping restrictions along with clean air policies. President Obama, also has ideas on the environment and climate change and he, too, hopes to enact new sweeping proposals. In addition to being young brilliant political operatives who faced similar foreign and economic problems both President Obama and President Nixon have massive egos. Granted, to run for president you need a big ego in the first place. But I think these two are different. For their ego’s are also fueled by anger; Nixon’s at the rich and powerful and Obama’s at the rich and white. Both may say they are for the little guy but both are actually only for themselves. And they will do almost anything to promote themselves; be it tossing aside dear friends who have become obstacles or tapping the other side’s offices. For with these massive egos also comes the belief that they are above the law, even rules they have implemented. Think of Obama’s self imposed rule of not hiring people associated with lobbyists and then appoints someone with a lobbyist background to a cabinet post! Or appoints a tax evader to the post which controls the IRS! Again and again Obama has shown he is above the law, just like Nixon thought. So I can’t help but wonder if Obama will have the same kind of ending as Nixon…. Dan Payne: Is This JFK vs. Nixon Deja Vu? On Sunday, Sept. 17, 1972, the 643,000 subscribers to the Sunday San Francisco Chronicle-Examiner and the 366,000 subscribers to the Indianapolis Star read the first of eight installments of a joint exposé of the Peoples Temple of the Rev. Jim Jones. The Star's Carolyn Pickering had risked her life covering this Disciples of Christ's ordained madman, while he was in Indianapolis. When he moved his flock to Ukiah, Calif., her editor contacted my editor in San Francisco so that as religion editor of the San Francisco Examiner I went up to Ukiah to cover a Jim Jones service. After one hour, my accompanying photographer, Fran Ortiz, asked me if we could leave as soon as possible – and he would tell me why on the road home. I did so, and when we were on the Interstate, Fran told me he had a photograph of one of the two people who had stopped us at the church door for 15 minutes of interrogation. Fran's photograph showed this large man checking his holstered-under-his-vestment .357 magnum. On the morning that the fourth of my eight stories on the Peoples Temple appeared in print and began cataloguing Jones' criminal activities, an Examiner printer who was a Jones disciple telephoned Ukiah at 2 a.m. This led Jones to awaken 200 of his flock and bus them the 100 miles to San Francisco, so they could mount one of the largest picket lines seen in San Francisco in years. At the same time, Jones' lawyers threatened a lawsuit so that the Examiner – to its everlasting shame – canceled the remaining four of my stories, which contained the major details of this highly dangerous criminal enterprise. While all of Carolyn Pickering's articles ran in the Indianapolis Star, no other daily newspaper, or TV station, or network would follow up – or give Jones anything but positive coverage. Six years later, in Guyana South America's Jonestown, this maniac engaged in what was the third-largest mass murder of Americans after Pearl Harbor and 9/11. His poisoning and gunning down of 914 men, women and children, including California Rep. Leo Ryan and three reporters, could have been avoided had America's major media not decided to censor what had been reported to more than 1 million people by the Indianapolis Star and the San Francisco Examiner in September of 1972. In a 30th anniversary remembrance of the Nov. 18, 1978, Jonestown massacre, MSNBC produced a two-hour TV special on Sunday, Nov. 9. Despite its length – and its reporting of Jones in Indianapolis – MSNBC had no mention whatsoever of the 1972 series of exposés of Jim Jones by both the Indianapolis Star and the San Francisco Examiner – which both of us risked our lives to report. On Thursday, Nov. 13, CNN presented "Escape From Jonestown," another two-hour program, which also censored what they must have known if they did any research: what was reported in 1972 by the Indianapolis Star and the San Francisco Examiner. MSNBC featured San Francisco Chronicle reporter Marshall Kilduff, plus Tim Reiterman of the Examiner, Charles Krause of the Washington Post and Fred Francis of NBC News. Not one of these four mentioned what the Indianapolis Star and the San Francisco Examiner had done in exposing this eventual mass murderer – six years before any of them reported anything about him. "In 1977, as news media were beginning to investigate disciplinary thrashings and abuse in the Temple … "
But there were others who stand as a marvelous contrast to almost every daily newspaper and TV station or network in the United States. "The San Francisco Examiner ran four out of eight articles, written by Lester Kinsolving, that exposed Jones as a charlatan back in 1972, then killed the series and ran a laudatory article about Jones after being threatened with lawsuits and after ... pickets from the Peoples Temple began parading around their building. ... The San Francisco Chronicle gave Jones even softer treatment." "'I am honored to be No. 2 on this maniac's hit list,' the Rev. Lester Kinsolving said, commenting on a New York Times story listing him as an alleged 'enemy of the Rev. Jim Jones, to be killed following his death.' ... Kinsolving said being on the list 'so effectively exposes the efforts of such big media as the San Francisco Chronicle and the Washington Post to cover up their disastrous failure to follow up on what Carolyn Pickering of the Indianapolis Star and I exposed at length on front pages of two major daily newspapers six years ago.'" "After a near silence of almost 30 years, a former top aide to cult leader Jim Jones has asked for forgiveness for his role in events that led to the deaths of more than 900 people in a mass murder-suicide. "Tim Stoen, Jones' former chief legal adviser and now a Humboldt County deputy district attorney, sought redemption in the form of a handwritten apology to the first reporter who publicly exposed bizarre behavior at the Peoples Temple's Mendocino County headquarters in the early 1970s. "'You were right about Jim Jones and Peoples Temple. I was totally wrong,' he wrote. "Stoen, whose Peoples Temple connections still haunt him three decades later, acknowledged writing the two-page letter but said he was reluctant to expand on its contents. "'It seems everything I say about that time is read one way or the other. I wasn't seeking any attention. I was just doing what I thought was right,' he said. "Kinsolving, now a Baltimore radio talk-show host, said he was stunned to receive Stoen's apology. "'After all these years, I was unprepared for his candid admissions,' he said. "Kinsolving, in 1972, wrote the first critical stories about odd events at the Peoples Temple." "Stoen organized cult followers to picket the Examiner's San Francisco office and tried to silence Kinsolving by filing a libel lawsuit, which later was dropped. He and other Temple representatives held news conferences to publicly castigate Kinsolving in front of the nation's media. "Then-San Francisco Mayor George Moscone and future Assembly Speaker Willie Brown rallied to Jones' side, offering their support to a man who had become entrenched in the city's political establishment. "'None of them would,' he recalled. "We wish to express our sincere appreciation for your sole support in our efforts to expose Jim Jones' Peoples Temple 10 years ago, in its earliest stages of madness. We commend you as a journalist, friend and fellow American for risking your life and job because of your belief in our futile attempt to protect our community, by your relentless reporting and personal guidance. "We thank you again, Les, from the bottom of our hearts. You are a fine example of what true journalism is all about!" Where Did the Term "Drinking the Kool-Aid" Come From? America's food companies are masters of technology. They massage tastes and textures to tickle our palates. They find ways to imitate expensive foods with cheaper ingredients. And sometimes, that technological genius leads to controversy. A case in point: Greek yogurt, one of the trendiest foods in the country right now — "the Jeremy Lin of food products," says the Los Angeles Times. Some yogurt companies are climbing onboard the Greek yogurt bandwagon with new ways to achieve that characteristically thick Greek yogurt texture. And traditional makers of Greek yogurt don't like it one bit. Among the critics is Hamdi Ulukaya, founder of the company Chobani and perhaps the country's No. 1 cheerleader for Greek yogurt. With the Democratic convention underway, fact-checkers have already poured over the first day of coverage, looking for tidbits of untruth, outright lies and verbal blunders. Not surprisingly — after all, this is politics and many politicians, regardless of party, have a penchant for stretching the truth — numerous deceptive statements were identified. FactCheck.org, a project of the Annenberg Public Policy Center, found a plethora of lies and presented them, in detail, on Wednesday morning. The Washington Post’s The Fact Checker did the same. Going speaker-by-speaker and point-by-point, both outlets noticed oddities in discussions and comments about taxation, job growth under Romney when he was governor of Massachusetts and statistics surrounding equal pay, to name just a few problematic subjects.